One thing we absolutely love about travelling is finding awesome, out of the way towns to visit. After staying for a few nights in Mudgee it was time to start making our way back towards the Gold Coast. We headed north-east until we hit the New England Highway at Scone and then started on our way north. But instead of staying on the highway, we veered off so as we could explore a few little towns along the way. And we’re glad we did as we found these 7 towns to visit in North West NSW. Our first overnight stop was the small town of Murrundi which is about 40 kilometres north of Scone. Here we decided to spend the night at the local sports ground which permits free camping. We couldn’t resist heading into town and having a couple of beers at the historic White Hart Hotel. The original section of the hotel, which is now the dining room, was built in 1842. It is a big pub and has a great beer garden area the overlooks a lovely green grass area. It was a gorgeous spot to end the day. The beer garden at the White Hart Hotel was the perfect spot to end the day. 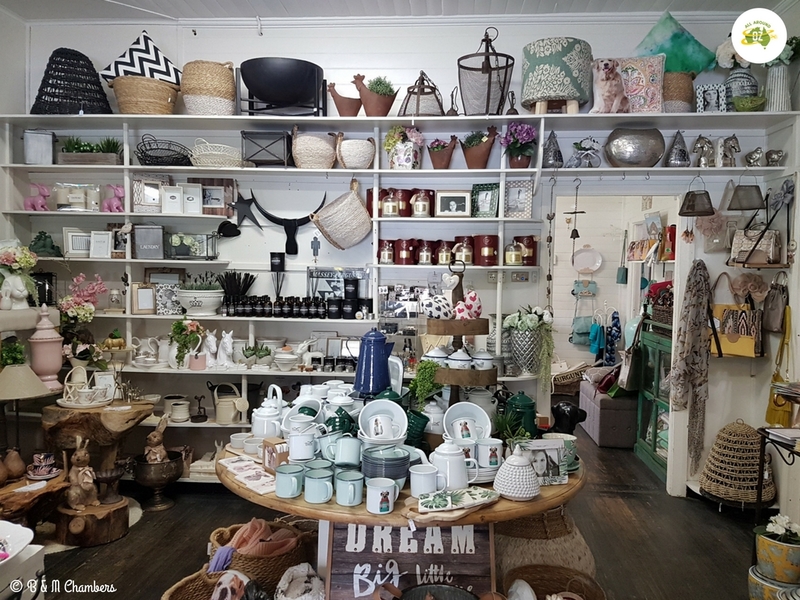 Murrurundi is an historic little town so there is lots else to see. It also has links to our bush rangers – namely Ben Hall. Check out Rosebank House, St Josephs Catholic Church and Settlers Cottage or take a drive out of town to Wallabadah Rock. 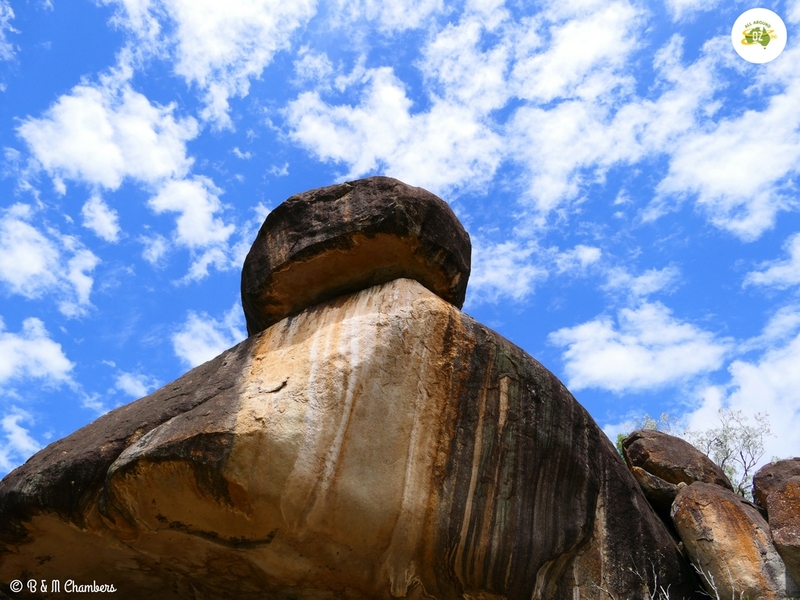 Wallabadah Rock is supposedly the largest monolith after Uluru. We firstly stopped in Willow Tree to watch a coal train pull into the station. 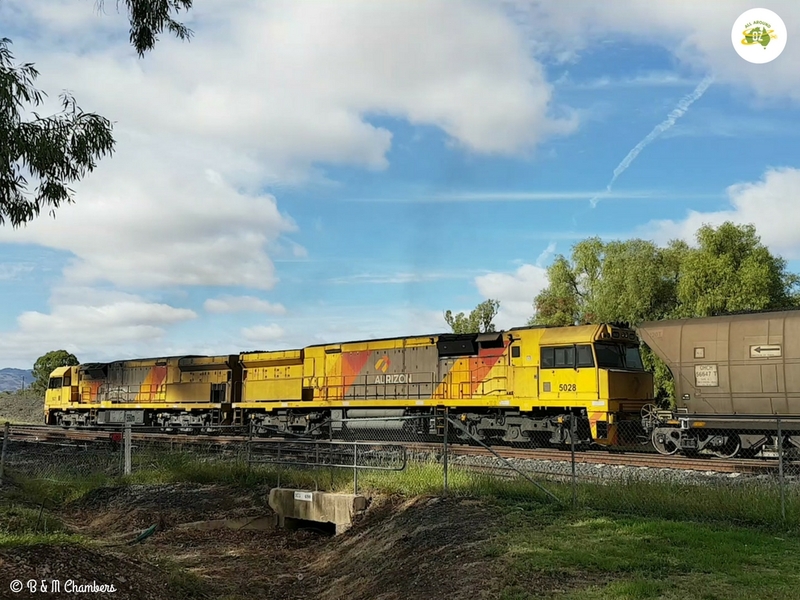 We had travelled alongside the train track for most of the trip from Murrurundi, with an empty coal train racing alongside us. It wasn’t long before a loaded train pulled into the station and stopped for awhile. We stood and watched it as it built up engine pressure to get going again. It must have been pulling at least a hundred coal trucks behind it so it took awhile. This coal train at Willow Tree was massive. Just in front of the rail line is the Liverpool Plains Visitor Information Centre which includes a display of the area. Next door was a lovely park, with a small playground and clean toilets. Across the road from the park stands the Willow Tree Inn which was built in 1913. It has been fully renovated in recent years and is home to the award winning Graze restaurant, as well as providing accommodation. Shame it was a little to early in the day for a visit! Across the road I found a couple of lovely shops to wander through. One of these is the Little Willow Lavender pop-up Shop and it had the most amazing array of lavender products. Next door was a small craft shop and a little further down the road was a gorgeous home wares, clothing and gift shop. Called La Chikky Cottage, it is set up in an old weatherboard cottage, each room was beautifully set out. As an added bonus they also have coffee and food available and I can of course recommend the coffee! I loved La Chikky Cottage. I could have spent lot’s of money there but settled for coffee instead! Our next stop was at the quaint little town of Quirindi. As we were coming into town I spotted a sign for the Who’d A Thought It Lookout. We weren’t sure if we would be able to get up there with the van on, but as it turned out we were easily able to. 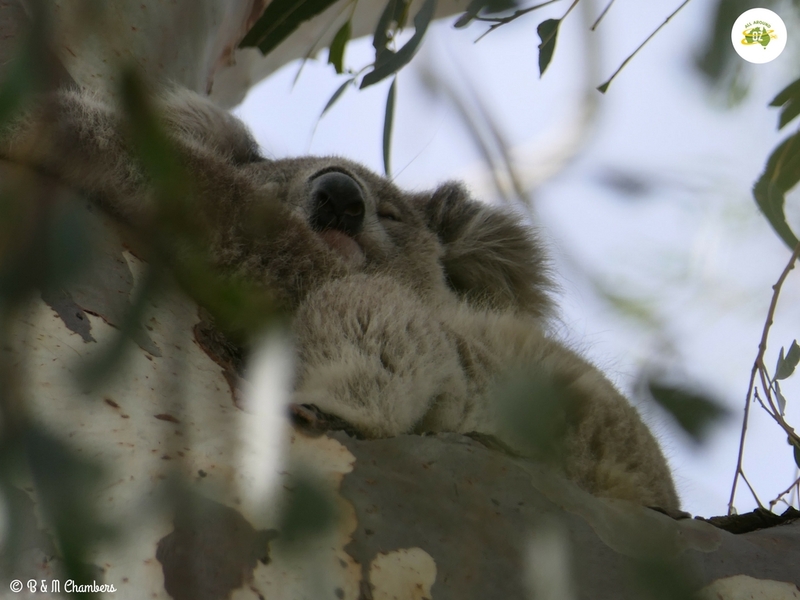 And we were so pleased we did because not only does the lookout offer spectacular views of the town and surrounding countryside, we were also lucky enough to spot a koala nestled high up in one of the gum trees. A sight we certainly weren’t expecting. The town itself has a lovely tree lined main street. There is also a walking or cycle track that takes you along the edges of Quirindi Creek. There is just something so special about seeing a koala in the wild. 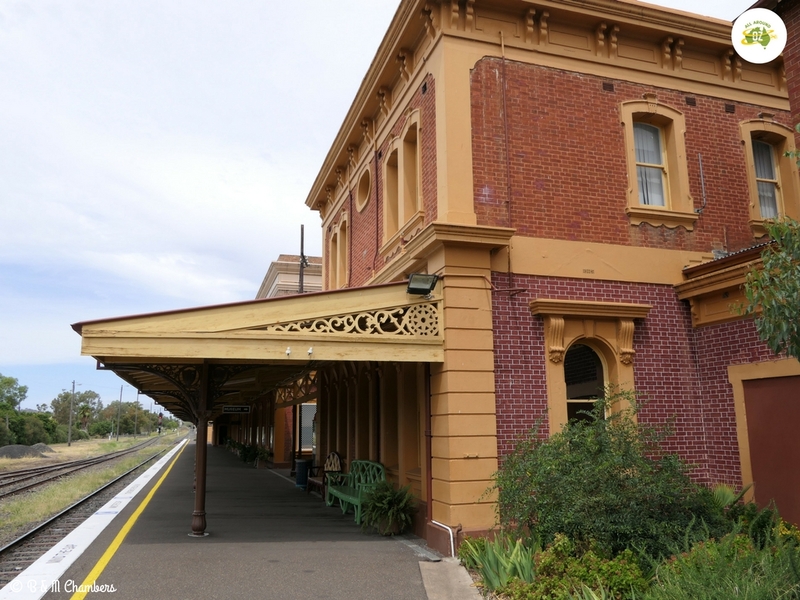 Not much more than a dot on the map, Werris Creek has one of the largest and most impressive railway stations that we have seen outside of Central Station in Sydney. Werris Creek began life when a camp for railway workers building the northern line from Quirindi to Tamworth, was set up there. 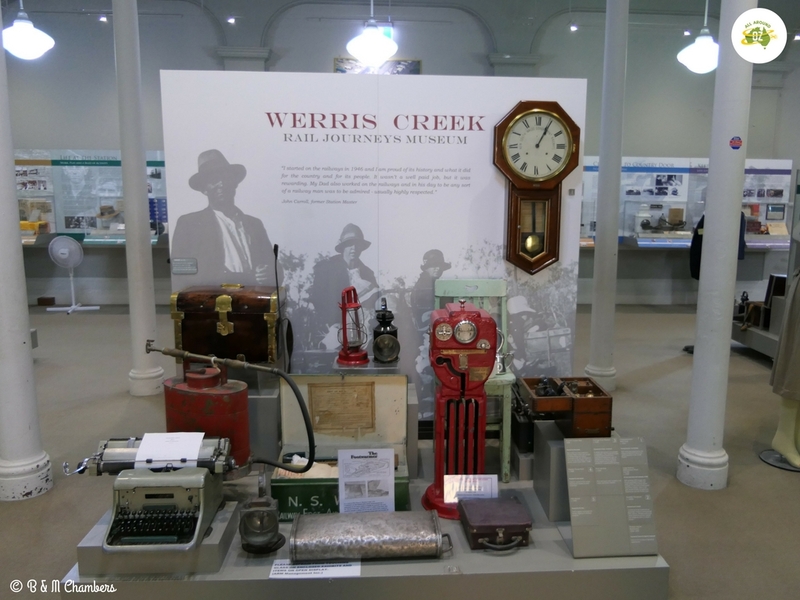 With that, Werris Creek became Australia’s first railway town. The station was built in 1879 and today Werris Creek is still a major rail junction for northern and north western NSW. The former refreshment rooms at Werris Creek Railway Station now house a comprehensive museum. At the Werris Creek Railway Station you will find a comprehensive museum which is housed in the old Refreshment Rooms. Staffed by volunteers, this museum is one of the best we have seen. Werris Creek was a major stop for troop trains during WWII and thousands of troops would have been fed out of the Refreshment Room. Entry will cost you a gold coin donation. Just a small section of the fascinating displays at the Werris Creek Railway Museum. Also located at Werris Creek is the Australian Railway Monument. This is a memorial to the more than 3000 rail workers who lost their lives whilst on the job. Barraba was just an overnight stop for us but it was an interesting one. We pulled into the Barraba Caravan Park almost on dark and we were greeted by owner and long time Barraba resident Richo. 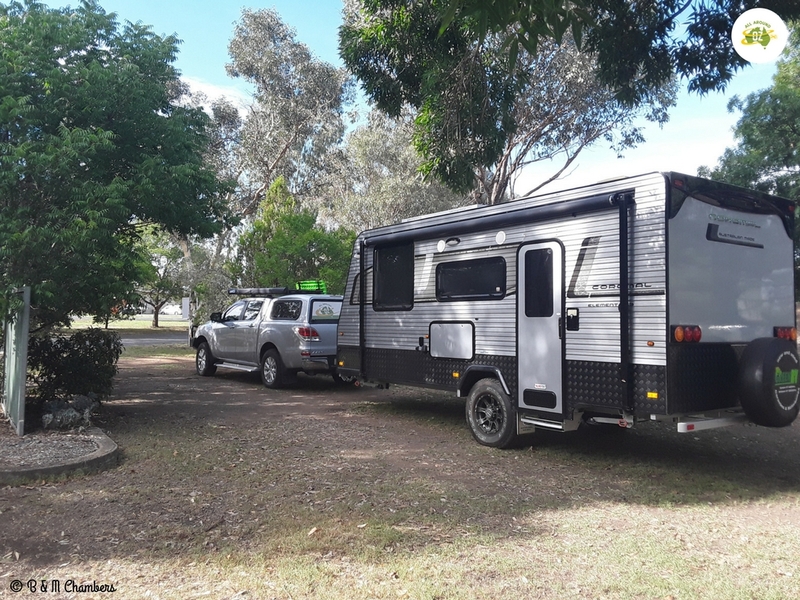 Now Richo doesn’t mind a chat and he can tell you all about Barraba and his caravan park which he has owned for 14 years but lived in for much longer. In his 70’s, this bloke would run rings around fellas half his age. His park is as neat and tidy as they come and he is constantly striving to improve it, adding gardens, renovating cabins etc. A nicer bloke you won’t find so didn’t mind spending the $25.00 it cost to stay there for the night. The drive through sites are generous in size and the park was quiet and peaceful. There are also lots of shady trees around and a great camp kitchen area. Just a few k’s out of Barraba you will find Split Rock Dam or if you head west you will find yourself in Mount Kaputar National Park. Four wheel drive tracks are plentiful in this area. 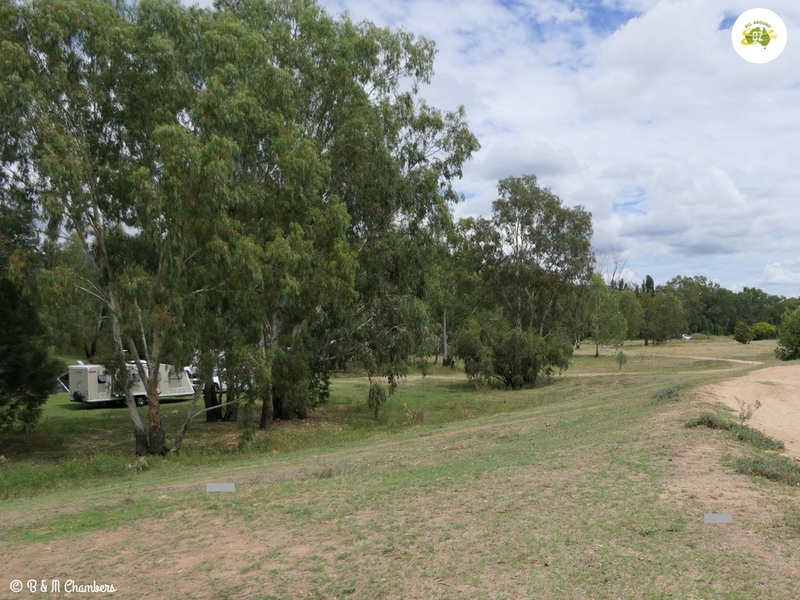 We thought Barraba Caravan Park was a great spot to stay for a night or two! Bingara was our first stop after leaving Barraba. It is a gorgeous little town and I loved wandering along the lovely, shady main street. With a population of only 1300, this town offers a lot including an IGA supermarket, chemist, bakery and a couple of interesting craft shops. It also has two lovely old pubs both of which had coffee shops attached to them. I grabbed a coffee at the Imperial Hotel and it was lovely sitting in the shade and watching the world go by. A great way to diversify your business is pop a coffee shop into the front of the local pub! Another spot that caught my eye was Peter’s Milk Bar which is located next to the Roxy Theatre. This milk bar has been fully restored and was a real look back at how cafe’s looked in the 50’s, 60’s and 70’s. The main street also features a number of murals painted on walls, all of which depict life in times gone by. On the outskirts of Bingara you will also find the remnants of the All Nations Gold Mine which operated between 1860 and 1948. 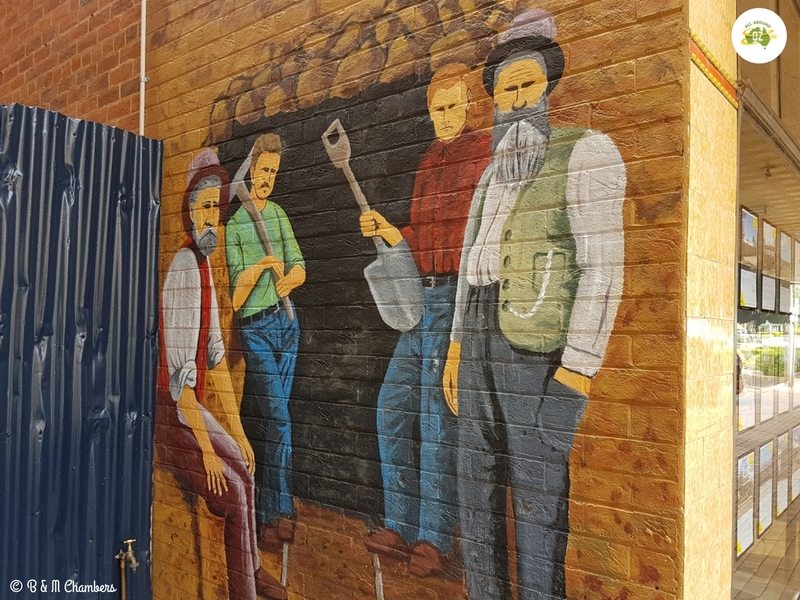 This lovely mural celebrates Bingara’s mining history. Perhaps the best thing about Bingara is it’s awesome free camp. 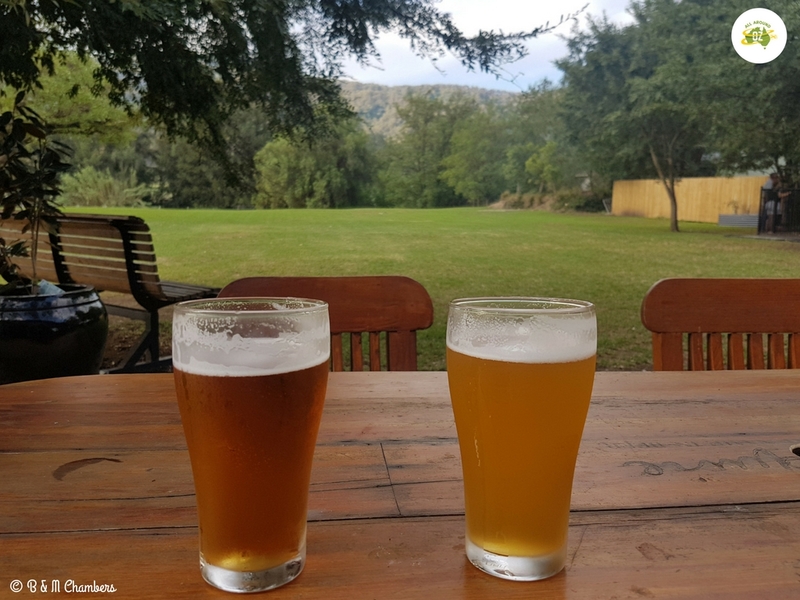 Located on the northern bank of the Gwydir River this super popular spot is one of the best we have seen. All that is asked of you is that you deposit any receipts from your shopping in town, in the box at the IGA. An easy way to keep this camp open. Although we didn’t stop there this time, we most certainly will in the future. We will definitely come back to this free camp at Bingara. The last little town that we visited was Warialda. Meaning ‘Place of Wild Honey’ the area is abundant in Tumbledown Gums, which bees swarm to, hence it’s name. The area also has a rich history and there are a number of historic buildings in the town including the local Courthouse, the Convent and Carinda House which dates back to 1880. But the definite stand-out spot to visit is Cranky Rock Recreation Reserve. 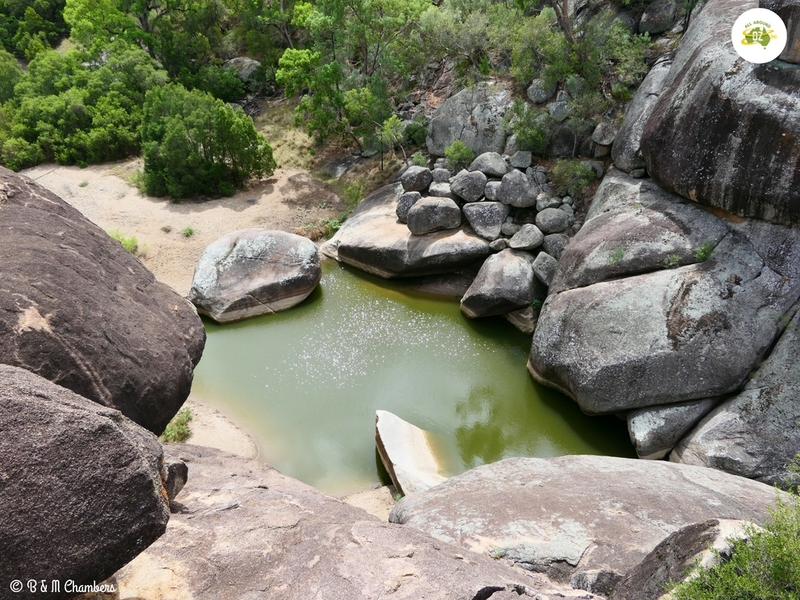 Located just 5 kilometres east of Warialda, this is an awesome spot to camp or go for a bush-walk. There is a full-time caretaker on site along with a kiosk and there are powered and un-powered sites available. The view from the top of Cranky Rock. There are also barbeques, picnic tables and a children’s playground. But the best part is definitely the short climb up to the Cranky Rock lookout. The view and the rock formations are just incredible. Below is a river with what appeared to be a deep swimming hole. Although there was not a lot of water flowing, it would be a lovely spot for a picnic and is easily accessible from the car park. Another awesome spot for us to return to one day. I loved the colours in this balancing rock. We loved our travels through this area of New South Wales and how diverse these small towns are. We highly recommend taking the road less travelled so as you can experience the delights of these small places as well. So many of them, we just can’t wait to come back to. I’ve never been to these places. I must admit I loved the first photo of beers and green grass. It’s nice to find a lovely watering hole at the end of a long day travelling. I shared this on my Australia and New Zealand Pinterest Page as a lot of people are interested in outback Australia. Yes I love a good country pub…especially on a hot day! These are places I’ve never heard of, apart from Warialda. 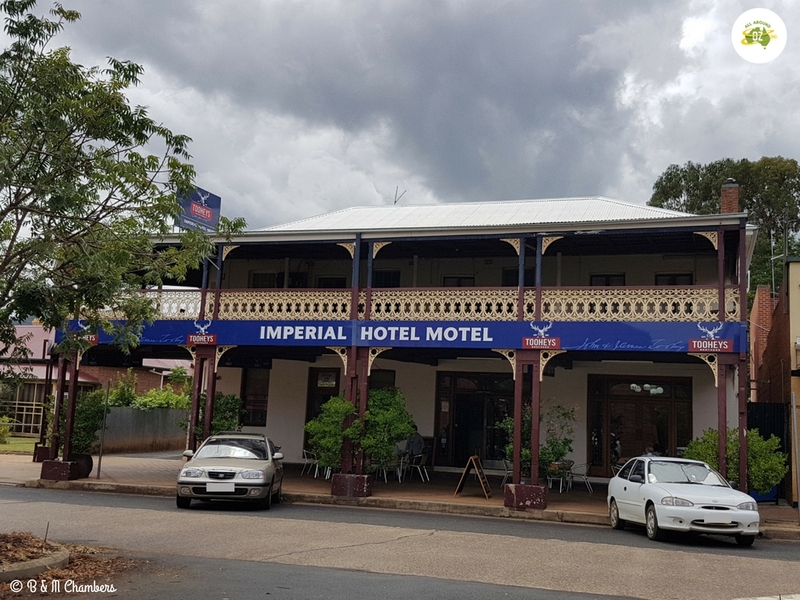 When we were on our recent trip we returned to the Gold Coast via the Newell Highway and I was busting to leave the highway to explore some more, but time did not permit. We have promised ourselves we’re going to return to remedy this. All these places look fascinating. A lot of the places I’d only heard of, never visited. I absolutely loved the feel of Bingara. The best free camp on the river that we will be returning to.